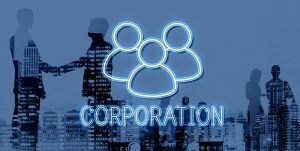 Most businesses are able to function as a regular corporation or an LLC (limited liability company); however, some professional businesses are different. While some states allow dentists to function under these entities, all states allow dentists to form either a professional corporation or a professional limited liability company. California, for example expressly prohibits licensed professionals from operating as an LLC, leaving professionals such as dentists to choose from professional corporations or professional limited liability companies. Forming a separate legal entity such as a professional corporation, “PC,” professional services corporation, “PSC,” or professional limited liability company, “PLLC” can your assets by establishing an entity which is separate from yours as an individual. The amount and type of paperwork required in order to create these entities varies from state to state, but the peace of mind is well worth the time and expense. A dental transition attorney can assist you with questions as to which legal entity may be best for your needs. For additional resources regarding Corporate Law, Business Law or Practice Management, feel free to explore our other blog posts and articles. Additionally, if you would like to learn more about our services and how we can help you or your dental or medical practice, please contact us below.